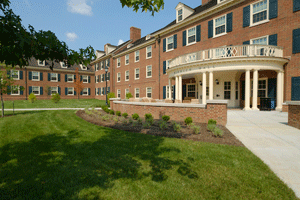 Hamilton Hall was built in 1940 and was the first women’s residence hall in which sorority suites were included. This was initially on an experimental basis, but later it became a permanent situation. It was originally known as North Hall, but in 1948 it was renamed for Elizabeth W. Hamilton who was a graduate of Oxford College with two degrees in 1895. She also taught Greek and English and was Dean of Oxford College. 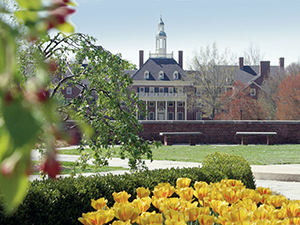 She joined Miami University in 1905 as Dean of Women and served in that capacity until her retirement in 1945. Hamilton is near Maplestreet Station dining commons, and more! 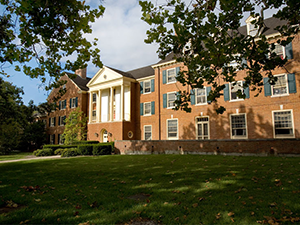 MacCracken Hall, located on central quad, was named for Henry Mitchell MacCracken, who graduated from Miami University and went on to become one of America’s outstanding nineteenth century educators. When the west wing of the new women’s residence hall was completed in 1957, the building was called Center Hall. It became MacCracken after its completion in spring 1961. 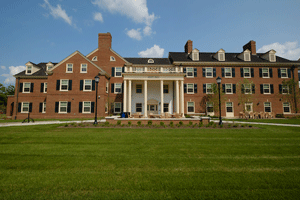 The hall initially housed six sorority suites, with two large recreation rooms, two living rooms, and a large dining facility. MacCracken is located in the middle of many dining options. It is connected to Market Street at MacCracken, and is close to Maplestreet Commons, which is an all you care to eat location. Maplestreet Station is a LEED certified (Leadership in Energy and Environmental Design) residence hall and sits atop the Maplestreet Station dining facility. Maplestreet Station is comprised of 3 individual “houses”. Each house is full of student requested amenities. This hall is conveniently located near Performing Arts Center. Just short distances away are both the REC Sports and Armstrong Student Centers. Minnich Hall will be offline for renovation during the 2017-2018 academic year and is scheduled to reopen for the 2018-2019 academic year. 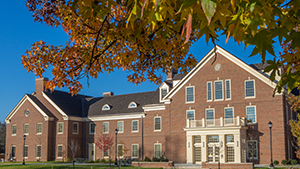 Minnich Hall was named for Harvey C. Minnich who was Miami University’s first Dean of the School of Education. He served in this capacity from 1903-1931. Minnich is close to Maplestreet Station dining facility and more. Minnich is just across the street from the Armstrong Student Center. Bunk bed safety rails provided provided upon request; submit a request using your MyCard room repair online form after you arrive. Richard Hall was named after Mrs. Frances Gibson Richard in 1952. She was a Miami University faculty member as an English professor from 1902-1936. Sororities are housed in Richard Hall. 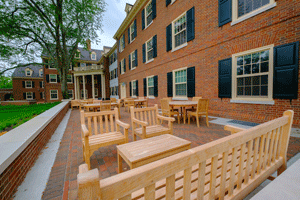 The hall is surrounded by many dining locations: Maplestreet Commons, Market Street at MacCracken, and more. Scott Hall will be offline for renovation during the 2017-2018 academic year and is scheduled to reopen for the 2018-2019 academic year. Scott Hall is named for Mrs. Caroline Scott Harrison, an 1852 graduate of the Oxford Female Institute who married Benjamin Harrison. He became the twenty-third President of the United States. While First Lady, Mrs. Harrison was one of the five founders of the Daughters of the American Revolution, and served as President of that organization until her death in 1892. Scott Hall is close to Maplestreet Station, and Armstrong Student Center.